SEO Myths: That search engine optimization did not die, it's not something worthless ... it's something that many webmasters already know. However, newcomers in the SEO industry are constantly striking a number of myths that prevent them from understanding exactly what is the meaning and usefulness of search engine optimization. What are the main myths and especially what is the truth behind them? ONE // Page Rank Is The Only One That Counts. It is one of the biggest SEO Myths that a site also contains performance statistics so that webmasters always know what works and what does not work on the site, and adapt their SEO campaign accordingly. The most popular keywords are the best. Nothing more true, but as popular as a keyword, it must match the site, its niche, its profile, etc. Artifacts such as abusive keyword use may be penalized by Google. TWO // Search Engine Optimization Is Done Once And Done! Nothing more fake than these SEO Myths. SEO is an absolutely necessary and constant work, even for the largest companies or for the sites that benefit from a large page rank. Search habits change, how Google displays search results, search algorithm ... everything is changing, and that's why optimization is not enough for both the site and the site, at least once a month, if not weekly. THREE // SEO Means Knowing How To Trick The Search Engines. Not if what you want is a serious SEO campaign and delivering long-term results and success. What Google wants to offer to its users is a unique quality content, and that's why that will also be what will place a site on top of the organic search results. If you are opting for an SEO company to promote the site, it has to be a professional one to keep away from black hat SEO methods. There is no point in using a very high density of keywords, hidden text, doorway pages that only aim to attract visitors, or use duplicate content sites, because although these techniques can be successful in the short run, big serious penalty on Google. FOUR // The SEO Software Works. Again one of the big SEO Myths! They do not work at acceptable parameters, and they do not work because they are not people cannot understand the subtleties of language, ideas, and especially cannot adapt to the changes of the search engines. It's a lot easier to make the optimization take into account the target audience of a site and the message to be adapted according to it. Instead there are various SEO tools that can be of great help. FIVE // Page Rankings Are Guaranteed. Just because search engine algorithms are constantly changing, no site can say exactly what the PR will be in over a month or two months. These are all SEO Myths beginners are not able to understand. The market abounds in thousands of sites that want all one thing, namely to get a higher page rank. SIX // Link Exchange Is An Acceptable Technique. It is, as long as it is not abused by it. According to the indications given by Google, excess link exchange can be a reason for a penalty. Anything in excess has a bad impact on SEO. SEVEN // The Results Of SEO Work Are Immediate. Nothing more fake, especially since SEO is a time-consuming activity whose results - when done fairly and fairly - are seen over time. In addition, search engines do not attach sites as they appear, but it takes a while before they are noticed. As a general idea, the faster the content on the site is updated, the faster it will be detected by Google. EIGHT // The More Links The Higher The PR. It's not the quantity that counts, it's the quality. That is why the number of links that come to a site from high authority sites is the key to success, but rather the quality of the content of the site to which they link. NINE // After Panda And Penguin, SEO Is Useless. Many of the beginners don’t work for SEO because of these SEO Myths. 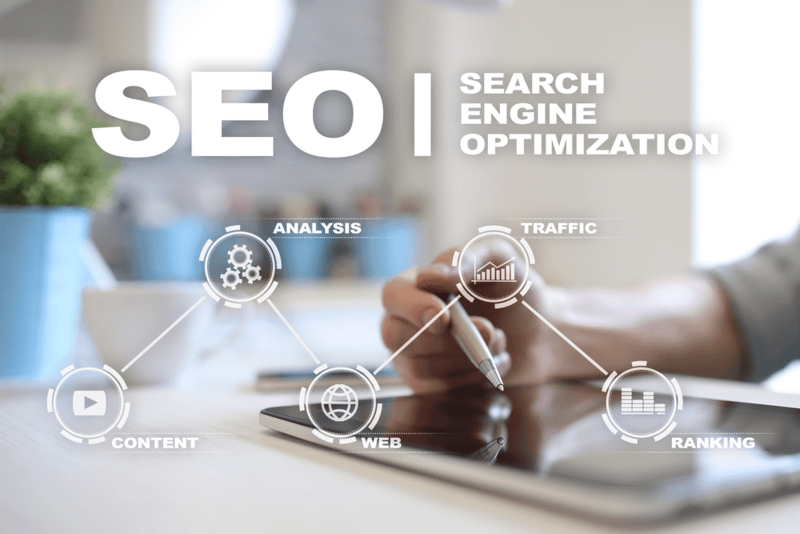 Although Google has recently resorted to more drastic algorithm changes than previous Panda and Penguin updates, it does not mean that search engine optimization is no longer relevant, and Google will thwart any webmaster's effort to - and place the "products" as best as possible. SEO is, after all, the cheapest promotion solution for both individuals and companies.